Microsoft has announced its upcoming OS Windows 8 on February 2012 which will be launched in the coming Fall. There are loads of features in Windows 8, but will it be a strong contender in the tablet or smartphone war? Android now covers 50-55 percentage of mobile and tablet markets around the world and most the custom software development companies choose android application development as their primary expertise. One of the great advantages of Android over Windows 8 is its open source, free and customizable. Let’s compare some of the key features of the above two and see as below. Home screen in both Android and Windows 8 are great with amazing dynamic icons and widget controls. Windows 8 placed icons and widgets in a more dynamic and usable manner, which is great for first-party apps. But when it come to third-party apps icons, justifying them is a lot harder. But in case of Android everything is customizable as the widgets can be re-sized, icons adjust themselves as per space on home screen and widgets show a lot information. Google provides the Chrome for Android, which has a great desktop sync including bookmark and search sync. Browser Sync is virtually absent with the Internet Explorer running on Windows 8. In the app Market there are around 600,000 apps based for android platforms whereas Windows based apps count only to 100,000 odd. 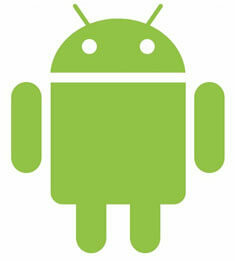 It seems in the coming days it will be very difficult for Windows to catch up with android the way it grows. Most of the individual developers and custom software development companies are releasing apps based on android application development to the app stores offering a steep competition to windows. Manufacturers of Windows 8 tablets will have to use Windows 8 RT licenses costing around 90-100$ per device to build the devices which is a lot of money if compared to the free Android licensing. So the windows tablets will cost 30-40 percentage more than the Android tablets. Apart from the above, Windows 8 lacks functionality in Voice Commands, Maps and Call Features as compared to Android. Even if Windows 8 have some advantages on Office Suites, Video Chatting, Wallets and user-friendliness, but it still has a long long way to go to level with the standards of Android. Android Application Development is one of the major services offered by Andolasoft supported by experienced android developers who build the best apps as per your requirements. We work in an agile and collaborative environment to bring success to every project. We’ve developed apps based on restoration management, online to-do list services, rigging capacity tracking, baby vaccination tracking and on many other projects. Andolasoft provides android development in Corporate business applications, Multimedia and gaming applications, Web based applications and social networking applications for small start-ups and large businesses.